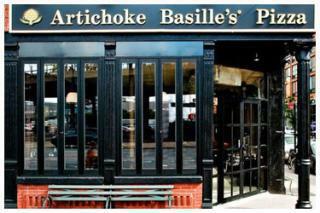 Artichoke Basille’s on 14th street started in 2008 by two Staten Island cousins. The two men launched one of the best pizza places in New York City. After the restaurant got its start it has since been mentioned in the New York Times and The Post. Artichoke is one of the best experience for a slice of pizza their only Pizza menu is sure to please.